It’s not typically the first project that comes to mind, but a home theater can be a solid investment for homeowners. After all, what buyer wouldn’t be interested in a beautiful luxury home cinema that they can call their own? That said, high-end home theater systems can get pricey in a hurry. Choosing to take the project on yourself might seem like a money-saver, but as you’ll see in this blog, it’s best to leave your home theatre design to the professionals. Here are some of the more common home theater mistakes and how to avoid them, as explained by Lifewire. Buying the wrong size television – It’s a misconception that the larger the TV, the more enjoyable the home theater. For HDTVs, consider that the minimum optimum viewing distance from the viewer to the screen should be about 1-1 ½ times the width of the screen. 4K Ultra HD TVs, on the other hand, promote a better viewing experience at closer seating distances than in the past. Remember that the wrong size TV can be distracting and uncomfortable, throwing off the entire experience for viewers. Our home theatre design experts at Texas Info Media can take the confusion out of selecting the right TV. We will provide suggestions during the consultation and select the perfect TV for your home theater. Not to mention, we only work with the elite manufacturers to ensure the highest quality. The room has windows, lighting, or size limitations – What you picture as your home theater could include any number of windows or lighting fixtures. It also may not exactly be the largest room. Regardless, Texas Info Media can design and install to transform an existing space or room into a fully functional theater/media room. We have also handled a number of retrofit projects in historical homes while being mindful of the structure’s integrity. Buying the wrong speakers – If you think that getting the room and screen squared away are difficult, then you probably won’t even want to attempt audio installation on your own. It’s likely that you’ll need floor-standing, bookshelf speakers, or a combination of both. Texas Info Media can make your audio sound as best intended and your video display looks just as incredible. The devil is in the details here and we pay attention to each of them while also consistently communicating with the customer. Having multiple remote controls – You can have the greatest home theater system in the world, but it won’t mean much if figuring out the remote is rocket science. With professional home theater installation from Texas Info Media, we ensure ease of use with one remote. Upon project completion, we want you to be able to enjoy your system without feeling overwhelmed. Not being properly trained/educated on your system – Our home theatre design pros want you to be an expert with your own system. That’s why we provide a complete training and walk-through education of use in a manner that’s easy to understand. Since we strive to offer the ultimate customer service, we follow up consistently to make sure everything works as intended. 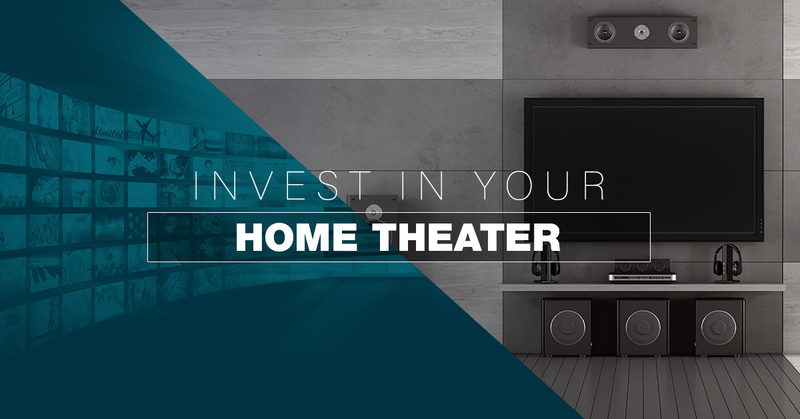 Don’t let your home theater project get the best of you. For the best home theater setup, give Texas Info Media a call.